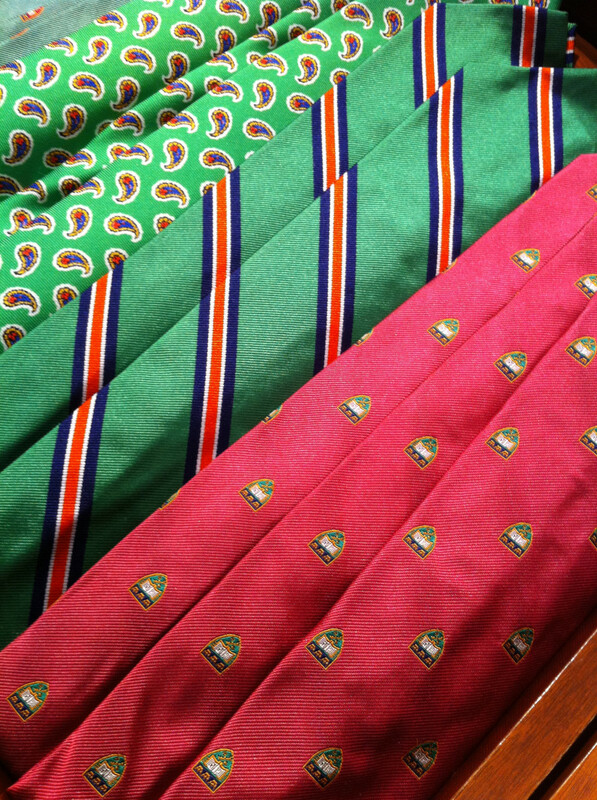 While all ties are steeped in history and tradition, club ties carry an extra level of meaning. Club ties, in the normal sense, are associated with membership in a particular club or regiment, however anyone can wear a club tie as the general design has expanded beyond membership-only groups. When worn 'recreationally' (and by that I mean when club ties are not worn to designate actual membership), club ties are excellent choices for bringing across a more traditional look, as well as making an interesting statement or expressing a sharp sense of fashion by denoting 'membership' within a certain brand following. What is a Club Tie? Simply put, a club tie is a tie bearing a regularly repeated mark, crest, motif, symbol, or insignia indicating membership in a club, order, or other group. A club tie is also typically designed with the official colors of the group or regiment to which it belongs. Though club ties originally existed strictly to designate membership in an exclusive club or military regiment, the ties are now more of a fashion statement than anything and are available to the masses. 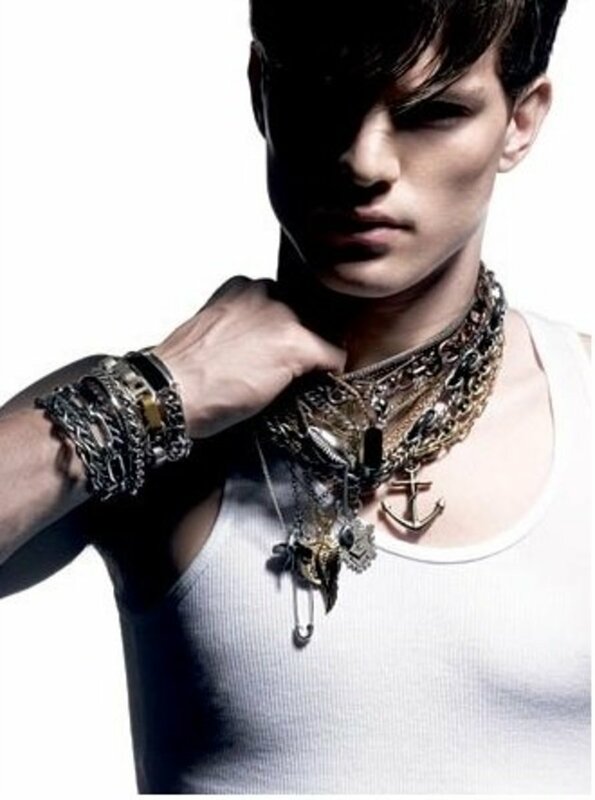 Most insignias on mass marketed club ties are semiotic gobbledegook and mean nothing in particular, however they still evoke a feeling of romance that accompanies thoughts of men's clubs and old-time tradition, making them a fun sartorial choice for those seeking to project perceptions of history, connection, and power. 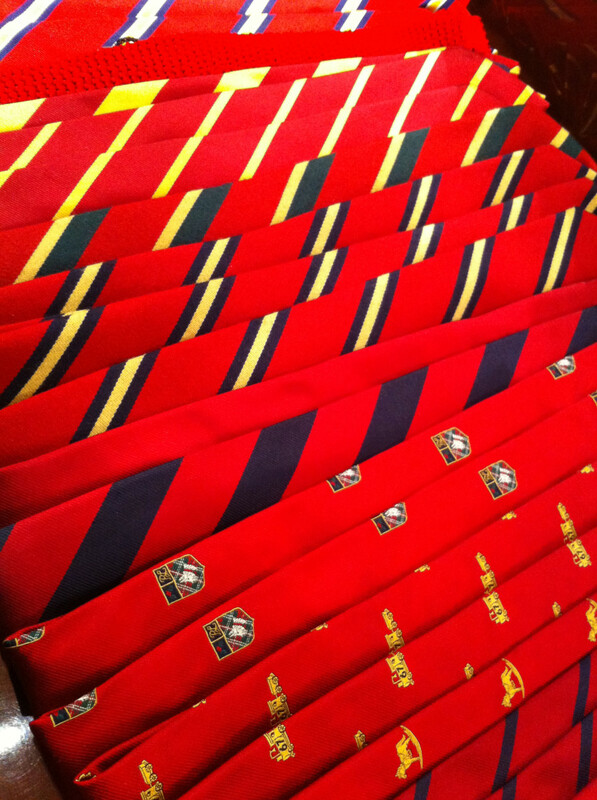 Club ties (also known as regimental ties) first emerged in England. Interestingly, the club tie as we know it predated the modern tie. English men used to wear silk strips (often in the form of cravats) bearing insignias indicating their membership in a men's club or military regiment. 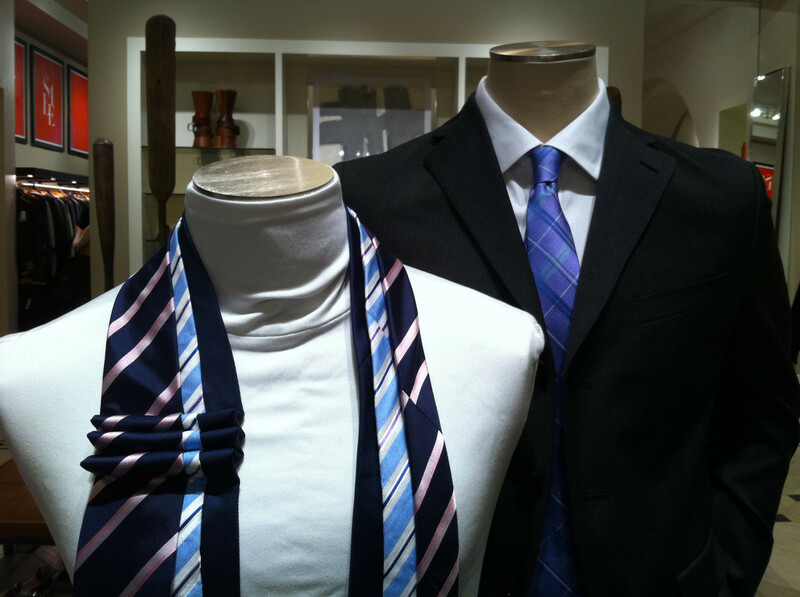 As cravats evolved into ties, club ties changed shape slightly, but maintained their symbolic indication of membership. While club ties are typically associated with either men's clubs or regiments, they have also been commonly worn by football clubs and rugby clubs. As these clubs have grown in precedence and popularity, the use of club ties by this segment has grown significantly relative to growth in the club, and especially in the regiment segments. School ties - striped ties indicating one's attendance at a certain school or university - are also sometimes called club ties. After World War I, club ties experienced a resurgence in popularity, especially in America, as the nation experienced a new wave of prosperity. 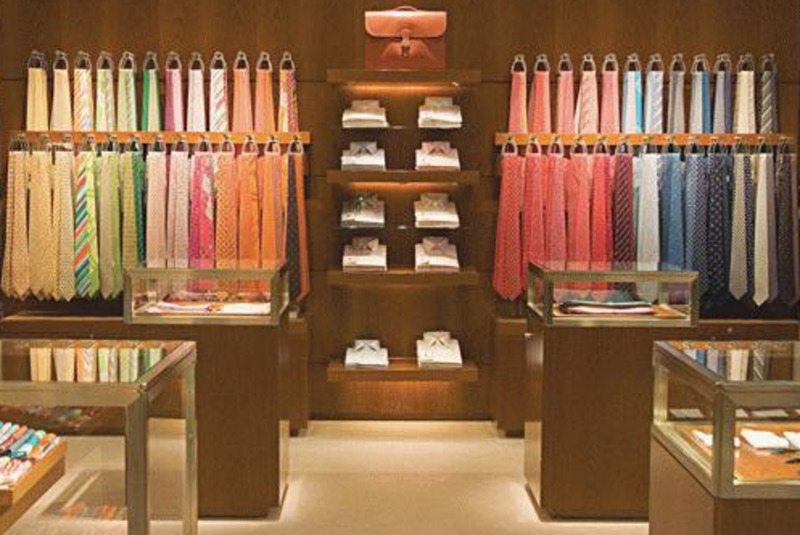 The trend encouraged menswear companies such as Brooks Brothers to market club ties to the masses. It was at this point that club ties departed form the world of exclusive clubs and became a fashion statement in their own right. Though men continued to wear club ties that indicated their belonging to a special organization, more and more fashionable individuals sported club ties indicating membership in nothing at all. An interesting development in the world of club ties came when brands took their design a step further by creating their own exclusive insignias. By doing so, these brands created club ties that did not communicate membership in a men's club or regiment, but rather in a brand. Perhaps this suggests that brands are becoming a replacement to old-timey men's clubs, just as some are suggesting that brands are beginning to take on the same cultural characteristics as religious symbols (which are signs of membership in their own right). One iteration of brand-associated club ties comes in the form of club ties that are associated with American universities and sports teams. These ties sometimes depart quite jarringly from the traditional and more subtle patterns that club ties typically assume. Brand-associated club ties and club-associated club ties have also come together, as many large corporations such as Unilever, Royal Mail, Shell, Sharp, and Brother have commissioned the creation of their own club ties. In an interesting way, then, the history of the club tie has come full circle. Legitimate club ties: These ties indicate membership in actual organizations. Meaningless club ties: These are club ties that do not denote membership in a formal group, but still sport repeated patterns similar to those shown on club ties. In this case, the small repeating insignias "just look cool." Branded club ties: While these ties to not indicate membership in any 'official' group, the logos printed onto them are those of a potentially exclusive brand. This makes the tie somewhat of a status symbol, despite the fact that it is not a 'legitimate' club tie, at least in the traditional sense. If you want an "official" club tie, you'll need to be in a club, order, or group that issues the accessory. Sometimes these ties are produced by a small local designer, sometimes they are issued by companies who mass-produce ties with customized designs. One major producer of club ties is Wrexham, a specialist tie manufacturer based in Wrexham, North Wales. If you want a real club tie but are not a real member, you can search for vintage and passed on club ties at antique fairs, in vintage clothing shops, at estate auctions, and at flea markets. If you just like the way that cub ties look, you can purchase them pretty much anywhere you can think to purchase ties. If you want a club tie but also want to feel a bit of the prestige one in an exclusive club might feel when wearing the tie, consider purchasing a club-style tie from a prestigious brand. It will likely cost much more than your average tie, making it, as well as its logo, relatively exclusive. 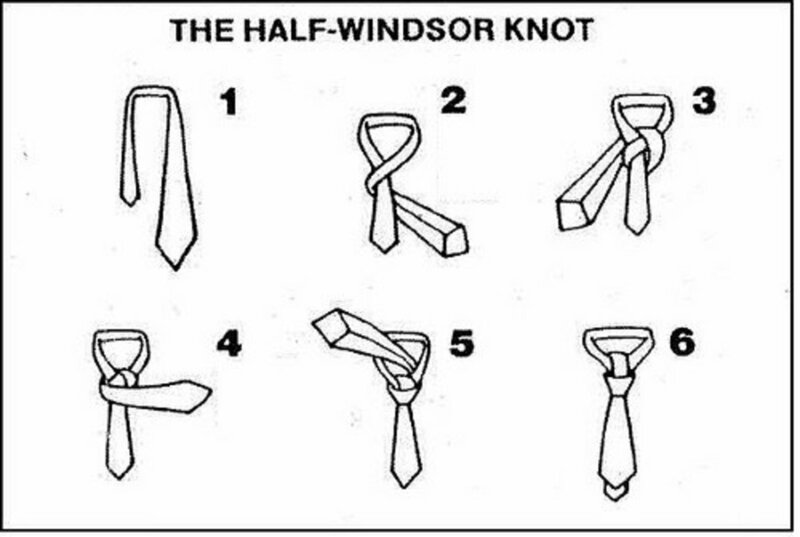 When wearing a club tie, it is important to be informed. Wearing a club tie is kind of like wearing a t-shirt with something written on it - even if that writing is in another language and you just think it looks cool, it can mean a lot to someone else, so you ought to know what kind of message you are sending. Club ties are a great way to add sophistication and a bit of wit to your look, but keep in mind that they do carry an air of pretension with them, so if you are in a rather subordinate position, wearing a club tie would perhaps not be the smartest move. Technically, the female equivalent of a club tie is a scarf. Ladies' scarves may also be patterned in such a way to denote membership in an exclusive group, club, or organization. That shouldn't stop women from giving men's club ties a try. Club ties look great with a white blouse and simple pair of slacks - they can also add a bit of flare to more informal ensembles, and can even be worn around bare necks like necklaces. Though I've seen club ties worn as belts, I would not recommend it - their shape is not exactly the best for belts (if you want something interesting for a belt, go for a silk scarf). If I had my vote, club ties on women would be worn with white blouses and high-waisted skirts and perhaps the occasional vest or cardigan. It makes for a really cute look! Excellent question, Philip Barr. I think it depends on whether or not you're in the ceremony or representing the university. Are you attending as a guest? If that's the case, I think it's fine to wear your alma mater's tie, though the argument for not wearing it would be that this event revolves around a different university and it would be most gracious to let that university be the center of attention. If, however, you are participating in the graduation ceremony, I might skip on the tie. Some might find it confusing; others might find it distasteful. So one question is: if I attend a ceremony at at medical university graduation, is it in poor taste to wear the crested tie of my own alma mater (different university)? You make an excellent point, Christian! People should definitely understand that if they wear a club tie that isn't branded or generic in nature, they could be suggesting membership in a group in which they do not or cannot belong, which can lead to a lot of confusion and trouble! Sir - I wear a club tie almost every time I wear a tie, the exception being dinner when a black bow is the only acceptable accompaniment to the dinner jacket. I wish we could pass some sort of legislation to make it a crime to wear a tie of an organization to which you are not a member. Nothing irritates me more. "Oh I see you were in the Suffolk Regiment?" only to be answered with a blank stare and "what are you talking about?"